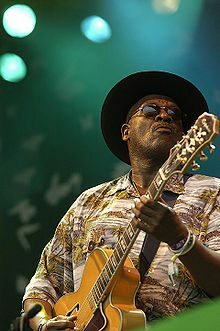 Henry Saint Clair Fredericks (born May 17, 1942), who uses the stage name Taj Mahal, He has shown may beginners blues guitar enthusiasts how to play blues and is himself an American blues musician. He often incorporates elements of world music into his works. A self-taught singer-songwriter and film composer who plays the guitar, piano, banjo and harmonica (among many other instruments), Mahal has done much to reshape the definition and scope of blues music over the course of his almost 50-year career by fusing it with nontraditional forms, including sounds from the Caribbean, Africa and the South Pacific. Born Henry Saint Clair Fredericks, Jr. on May 17, 1942, in Harlem, New York, Mahal grew up in Springfield, Massachusetts. Raised in a musical environment, his mother was a member of a local gospel choir and his father was an Afro-Caribbean jazz arranger and piano player. His family owned a shortwave radio which received music broadcasts from around the world, exposing him at an early age to world music. Early in childhood he recognized the stark differences between the popular music of his day and the music that was played in his home. He also became interested in jazz, enjoying the works of musicians such as Charles Mingus, Thelonious Monk and Milt Jackson. His parents came of age during the Harlem Renaissance, instilling in their son a sense of pride in his Caribbean and African ancestry through their stories. 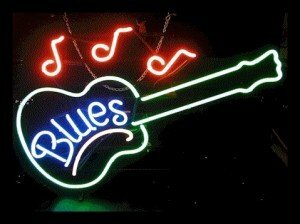 Because his father was a musician, he started beginners blues guitar lessons and his house was frequently the host of other musicians from the Caribbean, Africa, and the U.S. His father, Henry Saint Clair Fredericks Sr., was called “The Genius” by Ella Fitzgerald before starting his family. Early on, Henry Jr. developed an interest in African music, which he studied assiduously as a young man. His parents also encouraged him to pursue music, starting him out with classical piano lessons. He also studied the clarinet, trombone and harmonica. When Mahal was eleven his father was killed in an accident at his own construction company, crushed by a tractor when it flipped over. This was an extremely traumatic experience for the boy. Mahal’s mother later remarried. His stepfather owned a guitar which Taj began using at age 13 or 14, receiving his first lessons from a new neighbor from North Carolina of his own age who played acoustic blues guitar. His name was Lynwood Perry, the nephew of the famous bluesman Arthur “Big Boy” Crudup. In high school Mahal sang in a doo-wop group. For some time Mahal thought of pursuing farming over music. He had developed a passion for farming that nearly rivaled his love of music—coming to work on a farm first at age 16. It was a dairy farm in Palmer, Massachusetts, not far from Springfield. By age nineteen he had become farm foreman, getting up a bit after 4:00 a.m. and running the place. “I milked anywhere between thirty-five and seventy cows a day. I clipped udders. I grew corn. I grew Tennessee redtop clover. Alfalfa.” Mahal believes in growing one’s own food, saying, “You have a whole generation of kids who think everything comes out of a box and a can, and they don’t know you can grow most of your food.” Because of his personal support of the family farm, Mahal regularly performs at Farm Aid concerts. Taj Mahal, his stage name, came to him in dreams about Gandhi, India, and social tolerance. He started using it in 1959 or 1961—around the same time he began attending the University of Massachusetts. Despite having attended a vocational agriculture school, becoming a member of the National FFA Organization, and majoring in animal husbandry and minoring in veterinary science and agronomy, Mahal decided to take the route of music instead of farming. 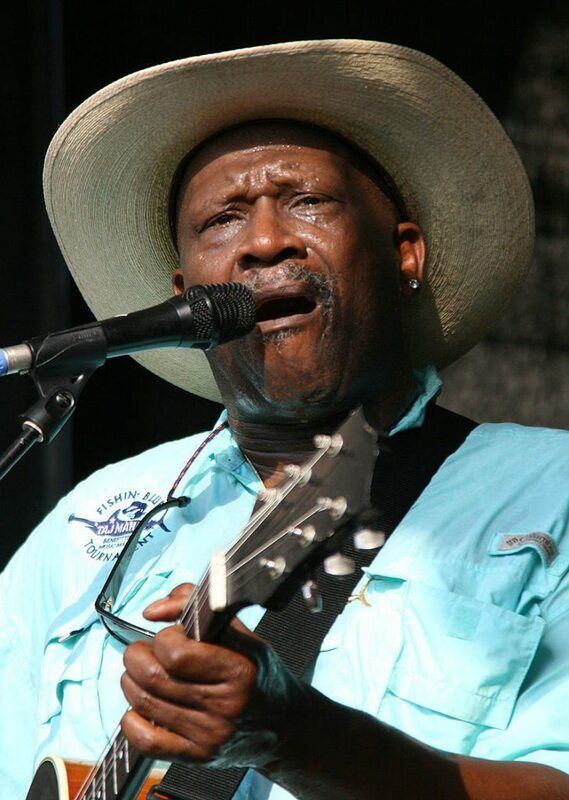 In college he led a rhythm and blues band called Taj Mahal & The Elektras and, before heading for the U.S. West Coast, he was also part of a duo with Jessie Lee Kincaid. In 1964 he moved to Santa Monica, California, and formed Rising Sons with fellow blues rock musician Ry Cooder and Jessie Lee Kincaid, landing a record deal with Columbia Records soon after. The group was one of the first interracial bands of the period, which likely made them commercially unviable. An album was never released (though a single was) and the band soon broke up, though Legacy Records did release The Rising Sons Featuring Taj Mahal and Ry Cooder in 1993 with material from that period. During this time Mahal was working with others, musicians like Howlin’ Wolf, Buddy Guy, Lightnin’ Hopkins, and Muddy Waters. Mahal stayed with Columbia after the Rising Sons to begin his solo career, releasing the self-titled Taj Mahal in 1968, The Natch’l Blues in 1969, and Giant Step/De Old Folks at Home with Kiowa session musician Jesse Ed Davis from Oklahoma, who played guitar and piano (also in 1969). During this time he and Cooder worked with the Rolling Stones, with whom he has performed at various times throughout his career. In 1968, he performed in the film The Rolling Stones Rock and Roll Circus. He recorded a total of twelve albums for Columbia from the late 1960s into the 1970s. His work of the 1970s was especially important, in that his releases began incorporating West Indian and Caribbean music, jazz and reggae into the mix. In 1972, he acted in and wrote the film score for the movie Sounder, which starred Cicely Tyson. He reprised his role and returned as composer in the sequel, Part 2, Sounder. In 1976 Mahal left Columbia and signed with Warner Bros. Records, recording three albums for them. One of these was another film score for 1977’s Brothers; the album shares the same name. After his time with Warner Bros., he struggled to find another record contract, this being the era of heavy metal and disco music. In the 1990s he was on the Private Music label while still teaching beginners blues guitar students and releasing albums full of blues, pop, R&B and rock. He did collaborative works both with Eric Clapton and Etta James. In 1998, in collaboration with renowned songwriter David Forman, producer Rick Chertoff and musicians Cyndi Lauper, Willie Nile, Joan Osborne, Rob Hyman, Garth Hudson and Levon Helm of the Band, and the Chieftains, he performed on the Americana album Largo based on the music of Antonín Dvo?ák. In 1997 he won Best Contemporary Blues Album for Señor Blues at the Grammy Awards, followed by another Grammy for Shoutin’ in Key in 2000. He performed the theme song to the children’s television show Peep and the Big Wide World, which began broadcast in 2004. In 2002, Mahal appeared on the Red Hot Organization’s compilation album Red Hot and Riot in tribute to Nigerian afrobeat musician Fela Kuti. The Paul Heck produced album was widely acclaimed, and all proceeds from the record were donated to AIDS charities. Mahal partnered up with Keb’ Mo’ to release a joint album TajMo on May 5, 2017. The album has some guest appearances by Bonnie Raitt, Joe Walsh, Sheila E., and Lizz Wright, and has six original compositions and five covers, from artists and bands like John Mayer and The Who. Mahal leads with his thumb and middle finger when fingerpicking, rather than with his index finger as the majority of guitar players do. “I play with a flatpick,” he says, “when I do a lot of blues leads.” Early in his musical career Mahal studied the various styles of his favorite blues singers, including musicians like Jimmy Reed, Son House, Sleepy John Estes, Big Mama Thornton, Howlin’ Wolf, Mississippi John Hurt, and Sonny Terry. He describes his hanging out at clubs like Club 47 in Massachusetts and Ash Grove in Los Angeles as “basic building blocks in the development of his music.” Considered to be a scholar of blues music, his studies of ethnomusicology at the University of Massachusetts Amherst would come to introduce him further to the folk music of the Caribbean and West Africa. The microphones are listening in on a conversation between a 350-year-old orphan and its long-lost birth parents. I’ve got so much other music to play. But the point is that after recording with these Africans, basically if I don’t play guitar for the rest of my life, that’s fine with me….With Kulanjan, I think that Afro-Americans have the opportunity to not only see the instruments and the musicians, but they also see more about their culture and recognize the faces, the walks, the hands, the voices, and the sounds that are not the blues. Afro-American audiences had their eyes really opened for the first time. This was exciting for them to make this connection and pay a little more attention to this music than before.